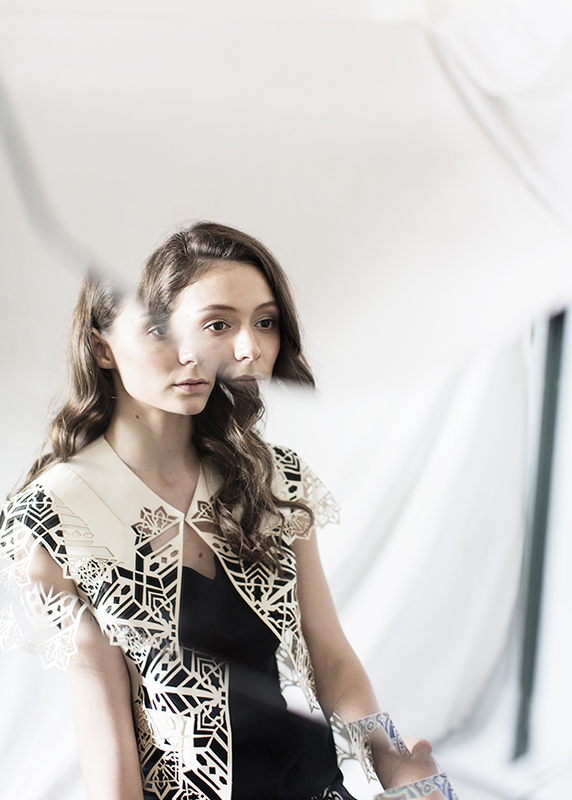 This selection of young and skilful creators that combine fashion design, technology and wearables. Different materials, crazy ideas and unique processes are realised. 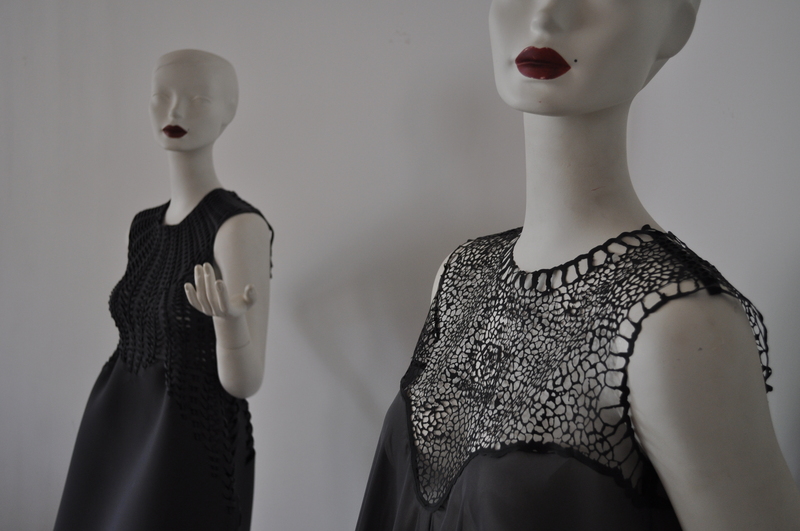 Sensor driven textiles, digital couture and interactive performance come into our everyday life. 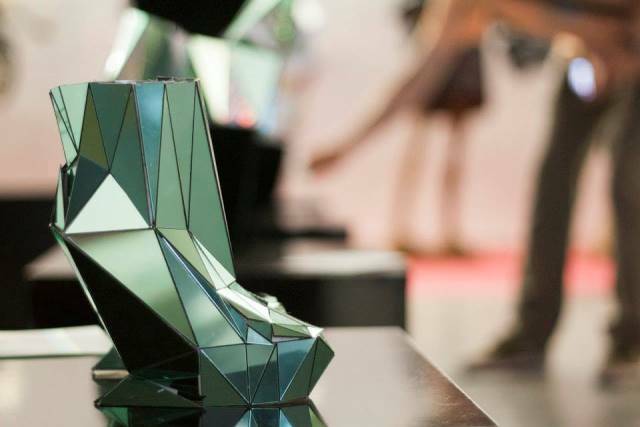 Architects, fashion designers, engineers and programmers in multidisciplinary synergies reinvent and establish new ways in approaching fashion, wearables, materiality and local customised production. 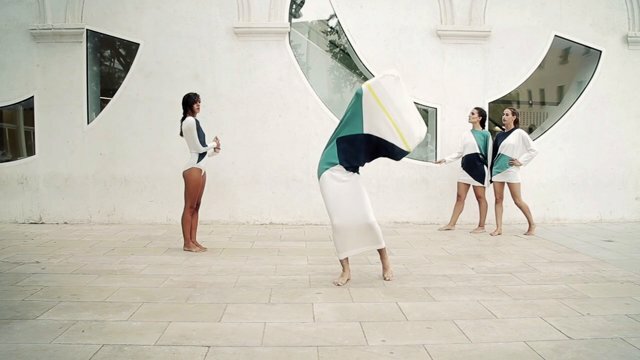 The showcase tries to cover this rich and creative landscape with a selection of creators all over around the world that use digital technologies for Fashion, Wearables and Performative Arts. The showcase came up as an idea to compile this tendency in fashion and present garments that come from different contexts. Brands based in Barcelona, such as Jorge & Esther, start ups that are doing hardware development inside the fab lab, such as FirstV1sion, work of students in local Fashion Schools, IED, ESDI and international creators based in other Fab Labs, such as WAAG Society in Amsterdam, Fac Lab in Paris, artists like Afroditi Psarra during their artistic residency at EASTN that work with e-textiles and performance. FAB TEXTILES questions the way fashion industry and education have transformed our life in prototypical and excessively accelerated manner. 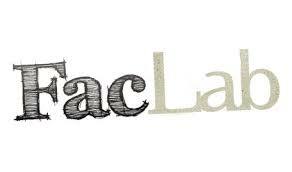 Inside a triggering and innovative environment, the fab lab sets the ground for experimentation on new materials and processes through a technological prism that addresses innovation and entrepreneurship. 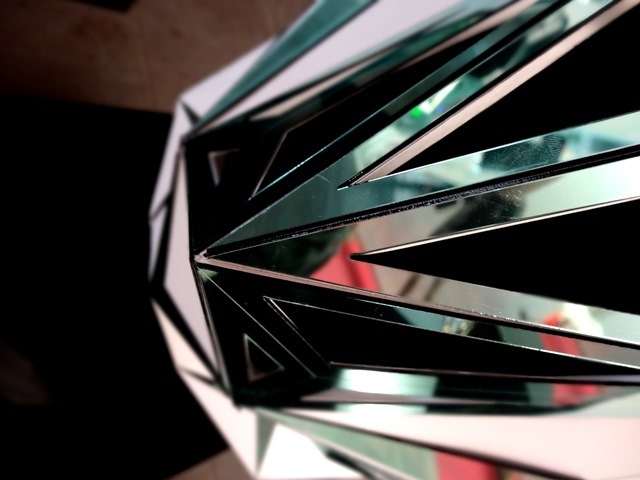 New ways of manufacture are carried out, combining traditional methods and new digital tools. 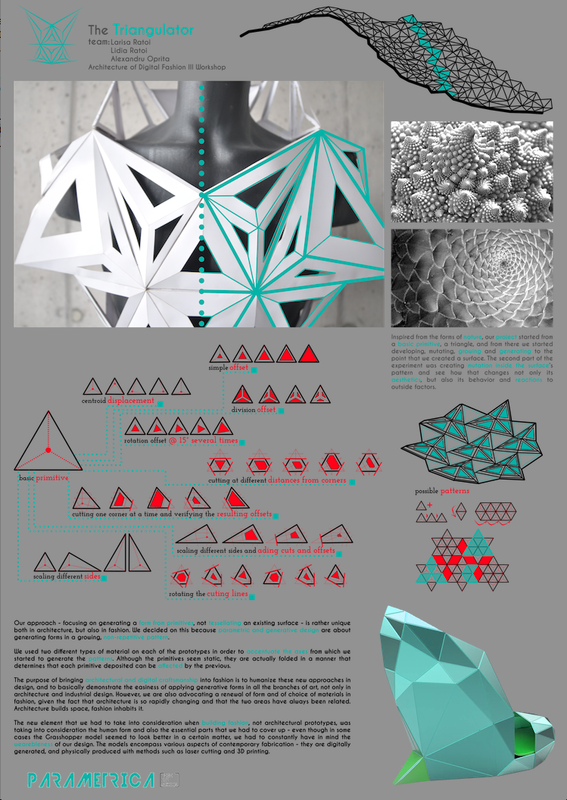 Under this context, you can navigate between integrating some sensors on a wristband or making a four meter long tessellated dress with wood. The last two years inside IAAC FAB LAB BARCELONA, through projects, workshops, collaborations and curiosity, various techniques have been applied for a research in the evolution of the way we create, produce and consume our clothing. This applied research is about integrating technological advances into the textile industry and education for an evolution for the future economy. Where does out body stop, where does space begin, how can we augment our body and how we can redefine what is the border being architecture and human. Can we imagine the same product being produced in a distributed manufactured way, inside a Fab Lab , taking different form according to local materials and consumer needs? How is the paradigm of fast fashion changing into a more conscious, custom and experimental way? What are the additive values and where does innovation flourish and expand? Cecilia’s work opens a dialog of design thinking where material, laser cutting and pattern co exist, one setting the parameters for the other. Diana Ditrenau leads together with young Romanian experts, designers, developers or architects, Parametrica, digi fab school. 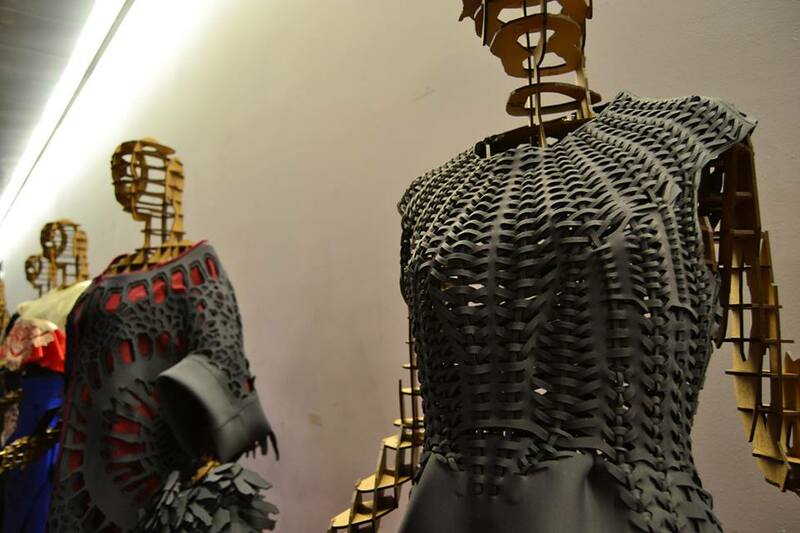 Experimental-workshops created by the school present projects like Exoskeleton Dress(designer Andrei Moldoveanu) and Hands Off Skirt (designer Diana Giurea) where architecture mixes with fashion and digital tools from other disciplines serve for fashion design. Lüme is an electronically infused clothing collection which integrates dynamic, user customisable elements driven wirelessly from a common mobile phone. The design and engineering of the collection is focused on the integration of electronics in such a way that they could be easily removed or embedded when desired, thus creating pieces that are easy to wash and care for. The initial objective for the collection was to create a series of garments that could adapt to the users daily life, changing in color depending on the event, location, mood, or even just to match another garment or accessory. The garments also can respond to sound, if the user pleases to select this option within the phone application. The laser cut piece within each garment can also be customised, to another pattern (other than damask pattern), such as polka dots, flowers, lines, etc. The entire mini collection when the electronics are not utilised, are simple black everyday garments, giving the wearer multi-use garments, for multiple looks. A true blend of fashion and technology. Soft^Articulations is a project inspired by retrofuturism and the idea of creating a soft exoskeleton that translates muscle articulations into sound. The project proposes the creation of wearable system that using handmade bend sensors on various muscle joints wishes to explore the dipole relation between the actions of relax and tense both physically and sonically. The output of the work will conclude in an interactive sound performance. The suit is inspired by the work of pioneer contemporary dance choreographer Martha Graham and her piece Lamentation, which features a stretch cylinder garment. Afroditi works with e-textiles and performative arts not only for the development of her own projects, but also transmitting all the knowledge of making inside the context of open source culture and sharing creative commons. Illusination is a collection based on the relationship between shadow and light, the mysticism of the Arab culture and its complex geometrical patterns. How the light is shining through this patterns on the mosques and creates a reflexion of shadow as a distorted replication of form.The form of silhouette and cuts are extracted from the geometrical structure of the Arab patterns and also the drapy loose expression of Arab clothing.Colours come from the colourful Arab mosaic. Fabrics are mostly silk, a combination of flowy silk and shantung as a contrast to create complexity. Emma Melin, during her studies at IED fashion school she discovered the Fab Lab Barcelona and the possibility of creating patterns on textiles by designing with illustrator and sending directly to the laser cutter.During her tesis presentation she made a collection that showed her designs form the first day she got introduced to this new technology until the moment she became an expert and dominated the tool. 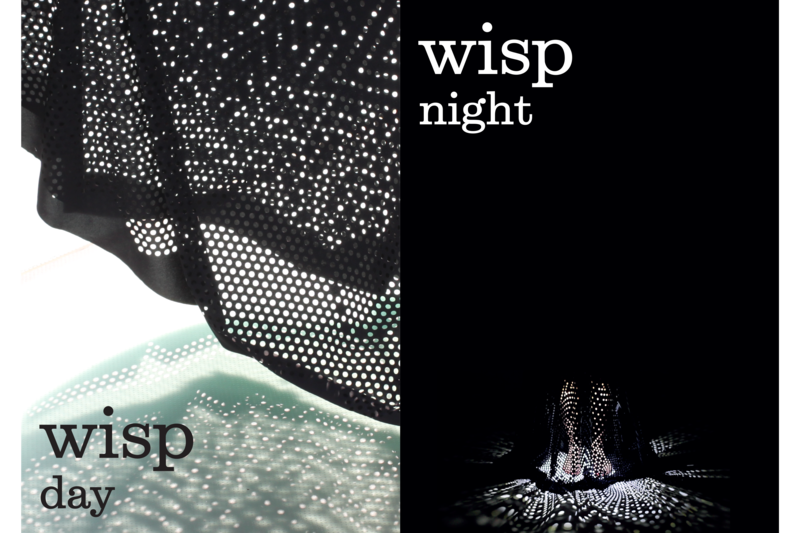 Wisp is traditionally defined as a floating ball of light. .The dress transforms at night. 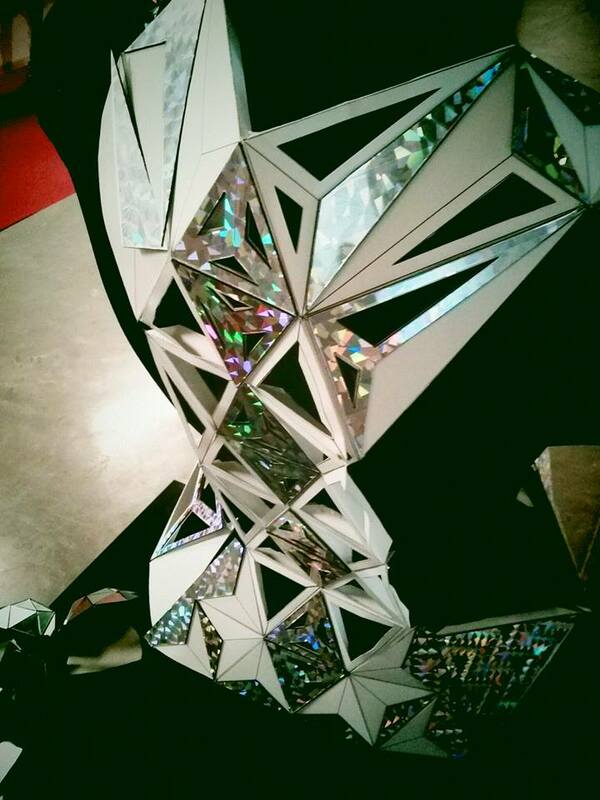 Light patterns are projected outward as its wearer turns into a beautiful and abstract light. At night, directional LEDs are worn on the legs generating an aura of organic geometry in permanent transformation alerting passerby’s of her presence as well as lighting the way through the dark. Light visualises and amplifies all movements transforming the space, creating confusion between light/shadow as well as fabric/space. The Wearable Fashion Orchestra is a live show that merges fashion and technology to establish an intimate interaction between the wearable/instrument and the dancer/performer, a textile orchestra that creates a musical composition through a contemporary dance choreography, a fashion collection that becomes a synesthetic experience. 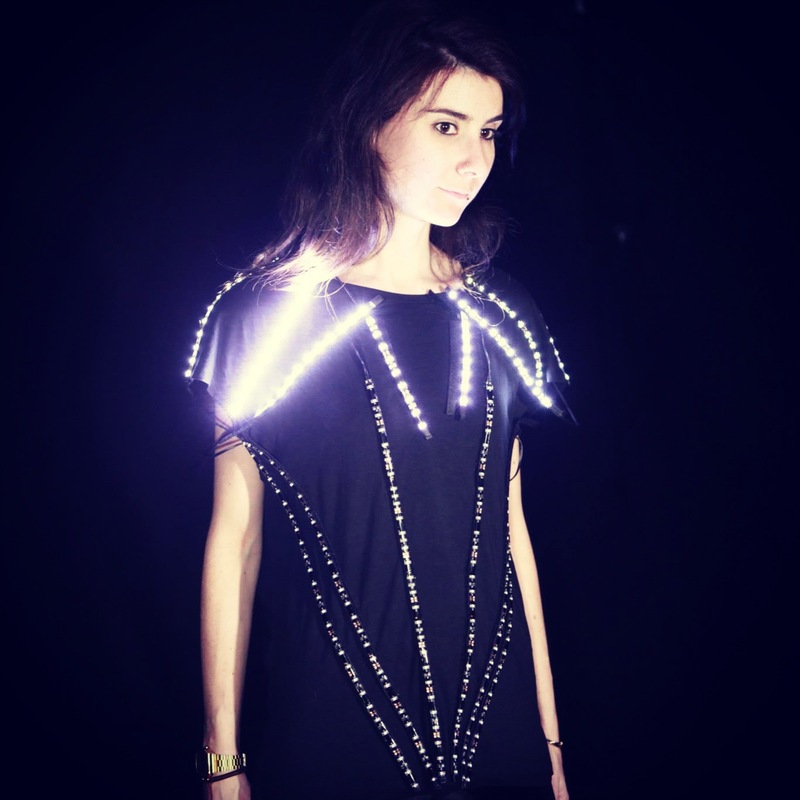 Each garment is connected with a WiFi mesh to a computer where sounds are generated in realtime..
Blink Blink is a T-shirt for performers that work with sound. Blink Blink reacts to the music and animates LED stripes to augment DJ performances. First V1sion is developing a new broadcasting system allowing the players’ point of view to be shown in sports such as basketball, football, tennis,athletics and many more. 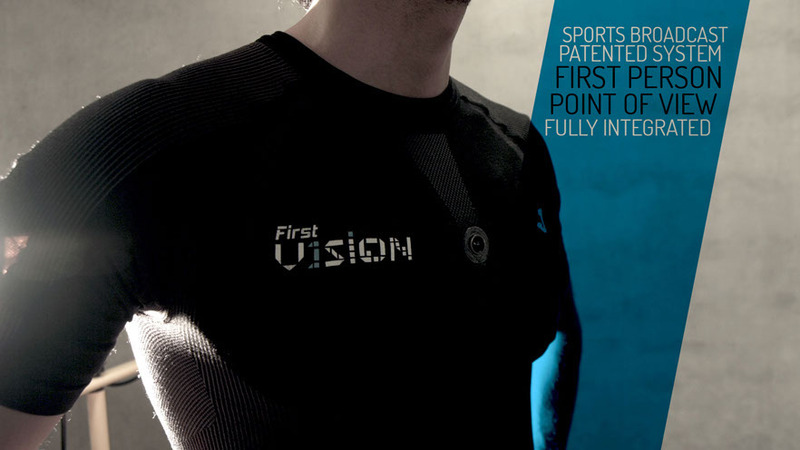 A jersey with embedded electronics that gives the value of integration in wearable technology that is imperceptible to the player.The system is compiled of a HD camera, zero delay transmitter, a flexible circuit board) in a well ventilated, soft, but safe material. FirstV1sion is part of the 10 finalists of Intel Make it wearable competition and is currently transmitting Euroleague games. Fab Textiles showcase took place on 2-8 July 2014 at Fab10, the 10th international conference of the FabLabs, hosted in Barcelona by Fab Lab Bcn.The showcase wants to expand and cover the Fab Labs of the global network. All the conventional mannequins where a kind contribution of the Superior School of Art and Design,La Llotja, by Roser Vallès. Thiago Mundim, Lana Awad, Drew Carson, Efilena Baseta, Ece Tankal, Carmen Aguilar, Lucas Capelli and many many more!